Issues in relation to various forms of harassment, bullying, theft and pick-pocketing as well as violence against women in municipal markets have been discussed in a meeting late last week. The meeting was organized by UN Women in partnership with the Ministry of Women and the Ministry of Local Government and brought together a cross-section of stakeholders including the Department of Social Welfare - Child Services Unit, Department of Women's Affairs, Fiji Police Force, Ministry of Local Government, senior management from Municipal Councils and markets and 12 Market Vendors’ Associations Presidents and representatives. Discussions were based on the findings of a safety and discrimination assessment exercise conducted in Fiji markets by UN Women Markets for Change Project. 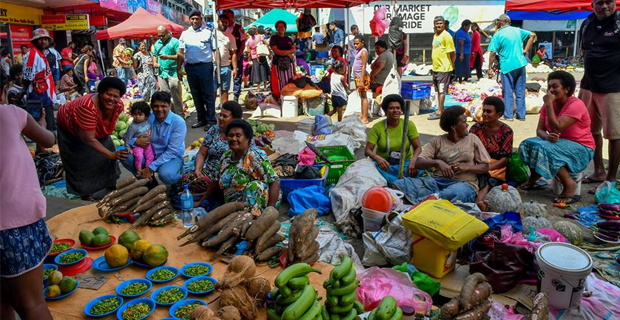 UN Women Fiji Multi-Country Office Representative, Nicolas Burniat says ensuring markets are safe for all users is a top priority, as expressed by market stakeholders during a meeting convened in Lautoka, which discussed market safety issues in Fiji. Along with sharing experiences and discussing safety issues highlighted in the report, the meeting aimed for stakeholders to work together to find solutions to the challenges and to jointly develop a plan on how to implement these solutions. Permanent Secretary for Ministry for Local Government, Housing and Environment Joshua Wycliffe says the government was also concerned about safety and the need to protect the vendors in their workplace. He says markets are the footsteps of the local economy and they need to protect what they have as it will help them grow further.